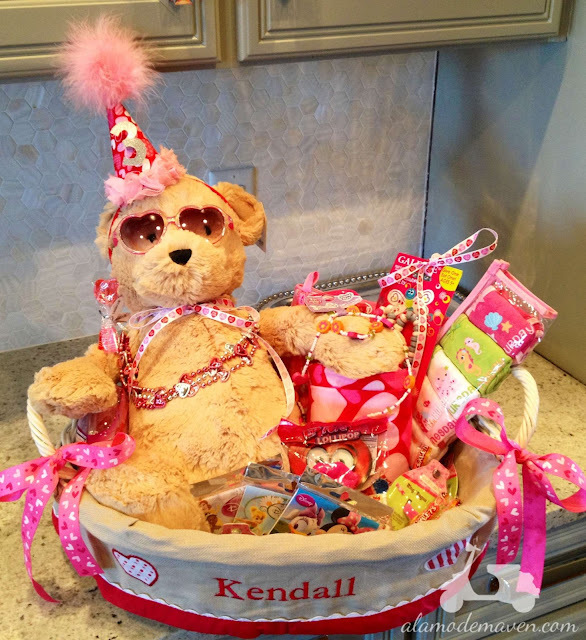 alamode: Valentine's Basket For My K! 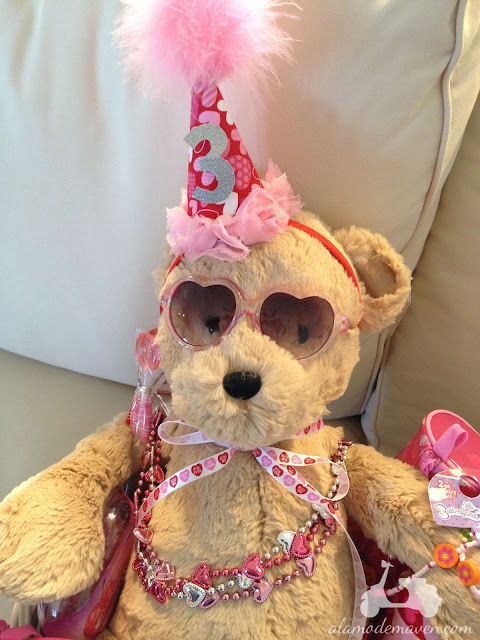 How fun is this lovey bear? I'm going to give it to K after school today and I'm super excited!! Let's just hope she doesn't want to devour all of the candy at once! What a precious basket. So well thought out. Love the fun with the added practical built in. Have a wonderful afternoon with her. Oh how darling! K is going to love it. What a special treat. Happy Valentine's Day Shelli! 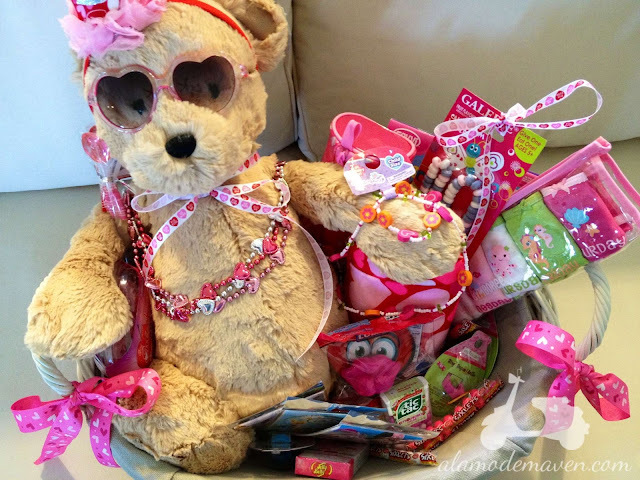 What a sweet Valentine basket. I don't comment much, but I love keeping up with you on your blog and can't wait to hear when Baby M arrives. I wonder will it be M for Michelle? I hope the rest of your maternity journey goes by quickly!